A riot is an ugly thing. The anarchical mayhem in the streets of Paris in recent days paint a picture of a fractured society with deep-seated problems—a breakdown of the fragile yet essential rule of law. While we’ve come to expect such things in France, there are specific reasons why these protests have erupted in the last month. The “climate” agenda, peddled as a means to save the planet and reduce inequality, is being exposed in France as an agenda inherently at odds with the interests of middle- and working-class people. But Americans may in fact have a better grasp of their interests than a tiny elite across the pond and in America’s powerful media institutions. For proof, look to the streets of Paris. Paris is now burning, and French President Emmanuel Macron, who was once widely praised as a kind of “centrist” savior of the global community, is in hot political waters. Macron’s approval ratings sit at 23 percent in a recent poll, according to Reuters, a new low for his presidency. The “yellow vest” protesters, as they’ve been called, have forced his administration to back off its proposed new gas and utility taxes. The protesters appear to come from a vast swath of French society and don’t fit neatly on the ideological spectrum. They’ve rebelled against high taxes while also calling for increases in the minimum wage. Alas, the consequences of living in a society where the government is involved in every aspect of a person’s life. France’s widespread use of nuclear power has allowed it to move a bit further away from the carbon economy in terms of energy costs, but its transportation sector is still highly reliant on oil, The Wall Street Journal noted. Global warming regulations for new and existing power plants will drive electricity bills higher for families and businesses. Fuel efficiency mandates for cars, trucks, and heavy-duty vehicles increase the up-front cost of vehicles by thousands of dollars. Methane regulations on oil and gas would introduce burdensome, complex processes that would likely slow the industry’s current efforts to reduce emissions, which have been falling for decades. For the average person, the cost of the war on climate change can be severe. In a country like France, which is already dealing with economic hardship, low growth, and high joblessness rates, you have a recipe for disaster. Maybe there is something to be said about leaders asserting national self-interest after all. The shocking images of riots are nevertheless emblematic of the collapse of the green agenda and the animosity it engenders from the people it harms: the forgotten men—squeezed by regulations and taxes—who don’t count themselves among the privileged few who receive generous green energy subsidies. In France, many see this dysfunctional system as inevitable and unchangeable without extreme recourse. Certainly, we should deplore the mobs and destruction of property. In America, we’d hope that our differences can be solved through elections, deliberation, and peaceful protest, if necessary. This is certainly possible as long as we maintain our constitutional system and a cultural respect for the rule of law that the Founding Fathers and generations of Americans blessed us with. While France’s economy is stagnant, the U.S. economy has been booming—in part due to the flourishing oil industry and the curtailment of regulations that were a hallmark of the Obama era. Are the conditions in Europe really what we want to replicate in the U.S.? California is going down this path, and perhaps the new Congress will as well. But the chaos in France should serve as a stern warning of what lies down the road. 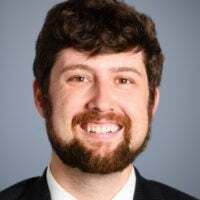 Jarrett Stepman is an editor and commentary writer for The Daily Signal and co-host of “The Right Side of History” podcast. Send an email to Jarrett. Twitter: @JarrettStepman. EDITORS NOTE: This column with images is republished with permission. Photo: Tatif/Wostok Press/ZUMA Press/Newscom.